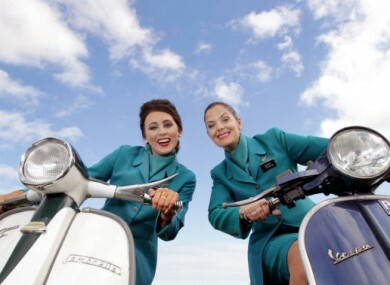 AER LINGUS HAS launched a recruitment drive to fill new cabin crew positions for its Dublin base for next summer. The cabin crew members will fly to over 100 destinations throughout UK, Europe and North America. The airline stated that while there are a wide variety of responsibilities and duties involved “ultimately the job involves keeping every guest safe, while making their experience on board the best it can be”. Crucial attributes include excellent communication and interpersonal skills and well-developed team-work skills. Successful candidates will complete cabin crew training at Aer Lingus’ in-house Training Academy, located in Dublin Airport. Applicants can apply online at careers.aerlingus.com, the closing date for applications is 21 October 2016. Email “Aer Lingus is hiring new cabin crew in recruitment drive ”. Feedback on “Aer Lingus is hiring new cabin crew in recruitment drive ”.